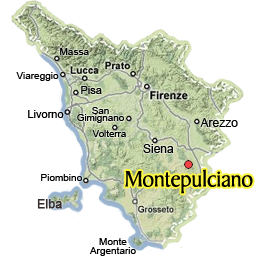 If you’re in southern Tuscany, a visit to Montepulciano is a must. Here is an itinerary for a walk through this small walled hilltop medieval town to the south of Siena. Located just outside Montepulciano, Agriturismo Le Caggiole is surrounded by the splendid Tuscan countryside covered with vineyards. The family run apartments & B&B offer a hearty breakfast & delicious dinners made with local products. Learn to prepare Tuscan specialities with chef "Mamma Ornella". The Renaissance city of Pienza is a must-see destination in the Valdorcia. What to see? The beautiful hilltop town in southern Tuscany is small, here is our list of what you should see and do while in Pienza.